Establishing a strong foundation for learning is now easier than ever! 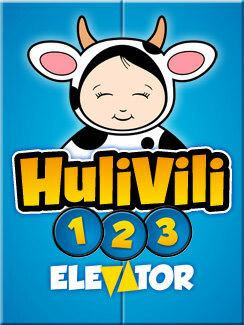 The imaginative Hulivili games for early learners develop logical reasoning and problem-solving skills that children will soon need at school. In terms of brain development, the first three years of a child’s life are the most important. The experiences of a five-year-old child have an impact throughout his or her life. This suggests that early education can indeed influence children’s school success. Have fun and learn! Take the elevator up and down. Ding dong! What’s going on here? Listen, see, do, repeat. 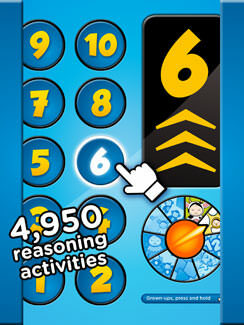 The game is an inspiring introduction to numbers, counting and cognitive thinking for children aged 1–4. 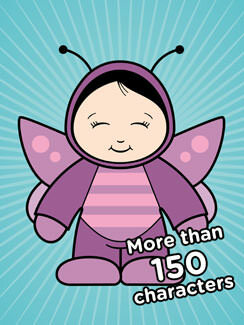 Ten floors to explore, counting up to ten and down to one, 30 unique number and counting puzzles, 165 reasoning activities and 30 cute animal characters hiding in waiting. 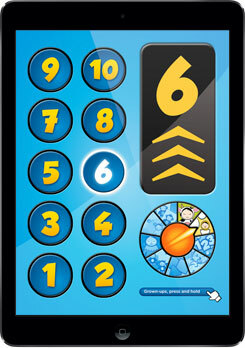 123 Elevator offers valuable experiences in recognizing numerals by shape and name, learning the order and appearance of each number, visual scanning with animals and objects, logical thinking and memory matching, reasoning and problem-solving, as well as perceiving basic shapes, sizes, colours and locations. 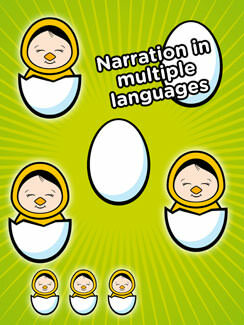 It is super-easy and fun to use. SEIZE THE MOMENT! Tap the alluring Alphabet Icons. What starts with the letter A? It's an Astronaut! What about the next one? 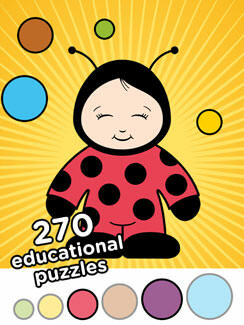 The game helps your child recognize upper and lower case letters by shapes, names and sounds. 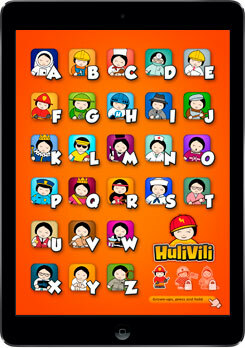 The exciting Hulivili Jobs Gallery encourages your child to keep playing. Each job represents a different letter set. The intuitive, easy-to-use interface is designed for the short attention spans of young children, inspiring them to continue from one icon to the next.